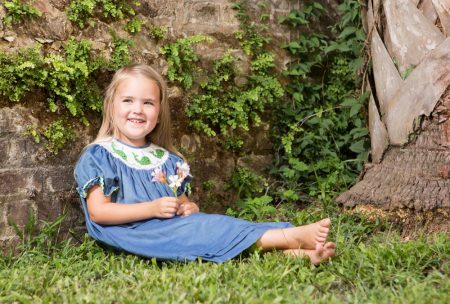 This adorable bishop gown has royal blue palmetto trees and a crescent moon hand smocked on the collar and is finished with light pink stitching and ric rac on the angel sleeves. 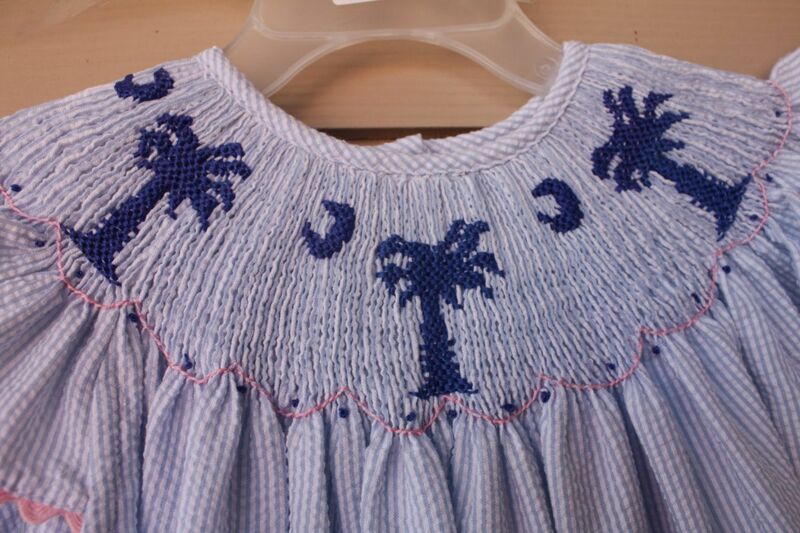 The fabric is a classic light blue striped seersucker, absolutely perfect! 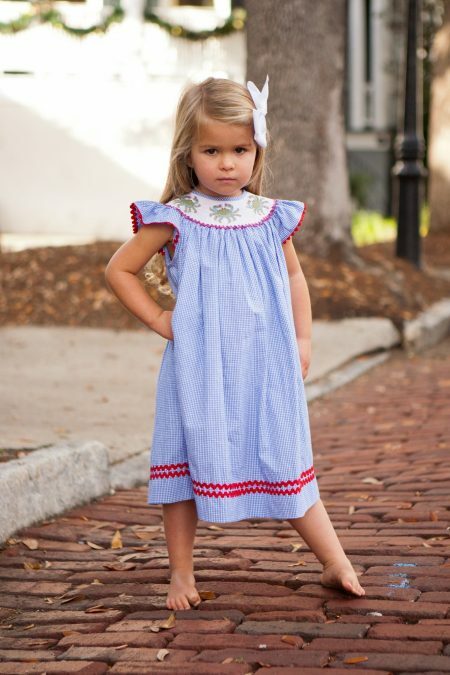 Match this beautiful smocked dress with our Palmetto Moon Boys Short Set or our Classic Brooke Dress or Classic Blue Jon Jon.